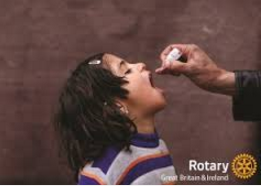 The Rotary Club of Wellingborough Hatton, like most Rotary Clubs worldwide, is contributing to the eradication of Polio throughout the world. 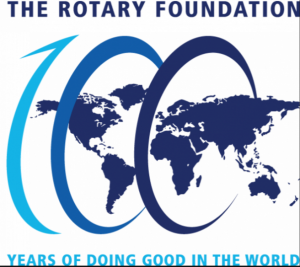 Rotary’s contribution is arranged by Rotary International (RI) through its International Polio Plus Committee. They are the leading non-governmental contributor and one of the spearheading partners of “The Global Polio Eradication Initiative” together with the World Health Organisation (WHO), the US Centers for Disease Control and Prevention (CDC), the United Nations Children’s Fund (UNICEF) and the Bill and Melinda Gates Foundation. The total estimated cost of the programme is around $11billion. 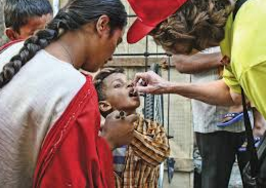 Whenever possible most of the costs are borne by the polio-endemic countries themselves but many of the poorest, least developed nations on earth where polio is endemic, need help from this programme. 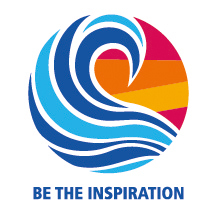 The programme started back in 1985 as PolioPlus and is likely to end in 2019 and by then Rotary’s contribution will have been in excess of $1.2 billion. The transission of the poliovirus has now been controlled in the whole of the world apart from two countries – Pakistan and Afghanistan. Shortly after the programme started in 1988 only 10% of the world’s children lived in polio free countries but that has now jumped to over 90%. Perhaps more relevant, at the start of the programme we made a promise to children that we would rid the world of polio. At that time there were some 360,000 new cases each year. This year there will be fewer than 100. The Rotary Club of Wellingborough Hatton is proud to be continuing to contribute to the worldwide eradication of polio. 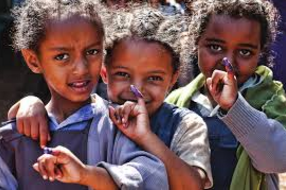 The latest stage is referred to as Purple4Polio because a purple dye is used on a child’s left little finger to indicate they have been immunised against polio. Please support our Purple4Polio fund raising initiatives as we announce them during thecoming Rotary Club year so we can honour our promise to the children of the world.